We woke up this morning and said goodbye to Sarah and Robbie as they were headed to the bus station to start traveling back to Mexico City and then back to Corpus Christi. At 7:30am we went to Mass at the convent. Typically they have a Holy Hour after that Abby and I would stay for a part of, but today at the beginning of their Holy Hour they were going to say Morning Prayer. Now if we were in the US, we probably would have stayed, as both Abby and I are familiar with The Liturgy of the Hours, but flipping through a breviary in English is hard enough, let alone in Spanish. Instead we walked back to the cabaña and had breakfast. After breakfast we cleaned the house up a bit, stripped the sheets off the beds, swept the floors, and even cleaned the toilets…at this point my mom is probably wondering why I don’t do this at home…sorry Mom!! Then we had a few hours before it was time to go so we just hung around the cabaña for a bit. Then Fr. Jeremy came by and I asked to go to confession…given how bumpy the flight from Mexico City to Queretaro was I didn’t want to take any chances on the way back! 🙃 It was pretty funny at the end when it was time for him to give me absolution he asked if he could give it in Spanish because he wasn’t sure he would remember all the words in English! 😂😂 Either way my sins were absolved so I just went with it! We sat and talked for a little bit about our time in Mexico and what a full time volunteer program would look like at the mission. Right now Dani is the only full time volunteer they have, but Fr. Jeremy is looking to expand that! We then said our goodbyes to Dani and Anthony and loaded up the van to head to the airport. It is crazy that an entire week has already gone by. I am sooo not ready to leave yet, I just started to feel comfortable in the uncomfortableness of not knowing the language but getting by! I felt like we were just sort of abandoning these kids after growing so close to them over the past week. I am not sure they realize that they won’t see us tomorrow…I know they are being well taken care of, but just seeing how much they desire to be loved and desire to have that affection we were able to give for the week breaks my heart! 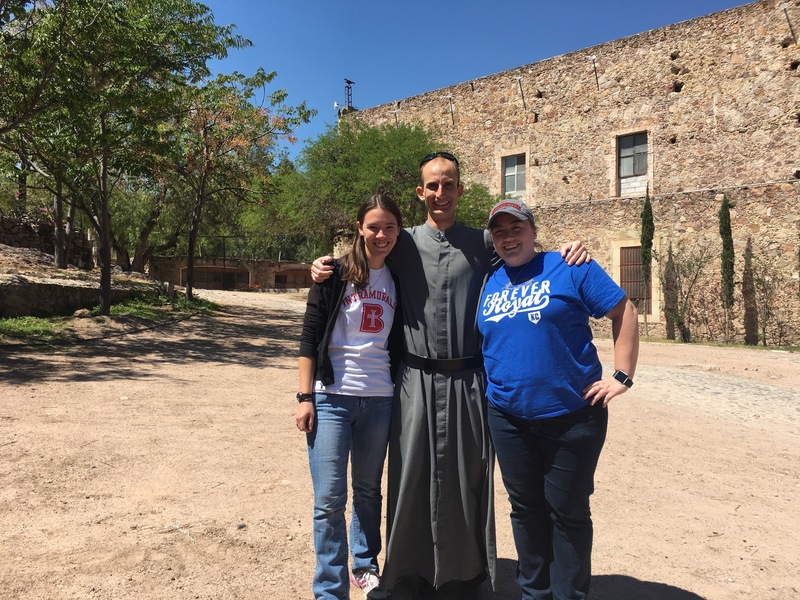 The drive to the airport was pretty uneventful and once we arrived at the airport we said our final goodbyes to Fr. Jeremy with a promise that we would come back as soon as we could!! 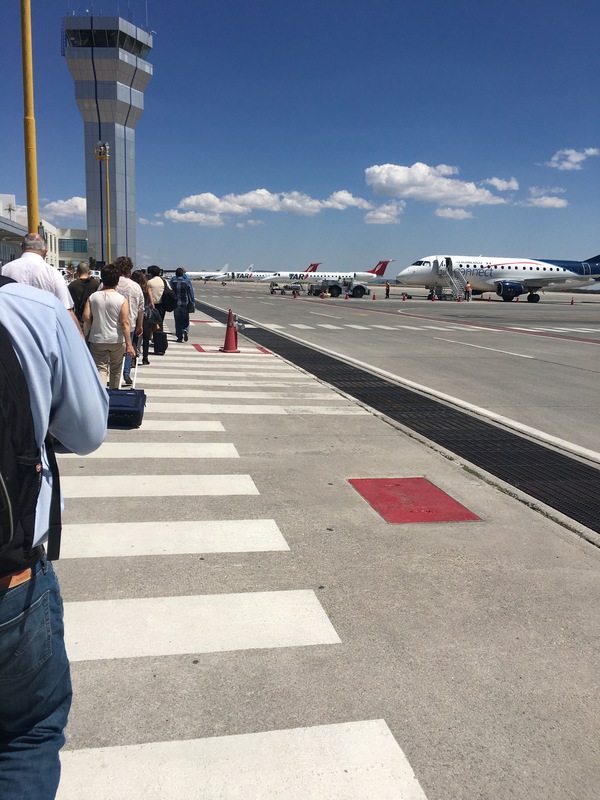 We made our way through security, which at the Queretaro airport is pretty lack luster…we didn’t even have to take our shoes off!! 😳😳 In fact the airport is so small that we walked on the tarmac to get to our plane! The flight was not nearly as bad as the way into Queretaro and we made it into Mexico City safely. 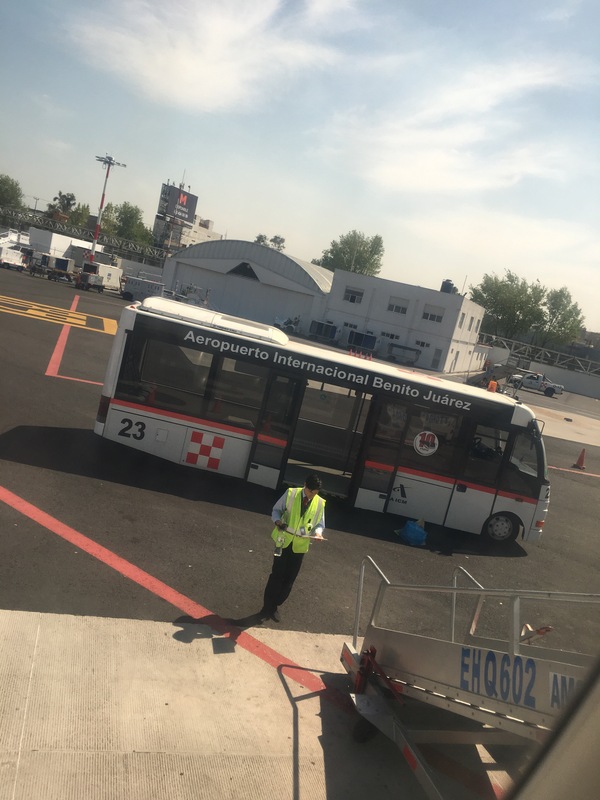 We flew AeroMexico, which is a pretty small airline and so in order to get to the terminal from the plane we had to walk on the tarmac again and then hop on a bus that took us to baggage claim. 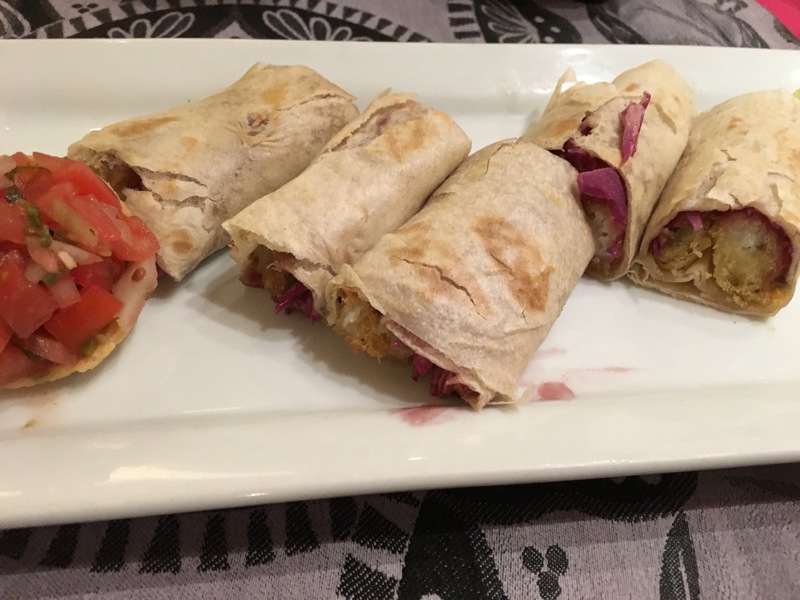 We ended up having to check our bags that we were planning to carry on, because apparently they can only be 10kg and ours were around 12kg…so we picked up our bags from the baggage claim and then made our way upstairs in the terminal to find some food. 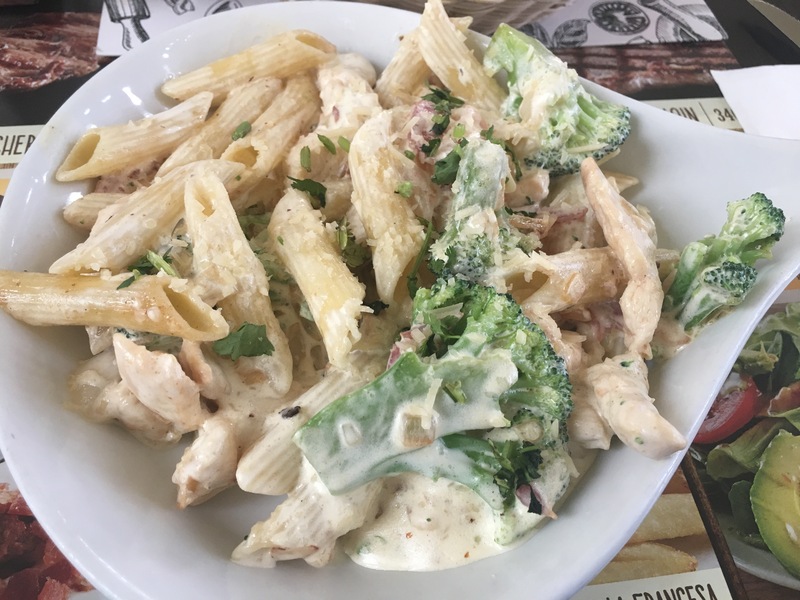 We ate lunch at a restaurant in the airport called “Wings.” I had a pasta dish that was one of the chef specialities and it was very good! At around 8:00 we went downstairs to the restaurant in the hotel and each just got an appetizer, Abby had guacamole and I had fish tacos. Both were very good! After dinner we came back up to the room and got ready for bed! I am super excited for tomorrow as we will go to visit the Shrine of Our Lady of Guadalupe and get to see the Tilma and visit the location where Our Lady appears to St. Juan Diego! But for now, goodnight! !